hi there! 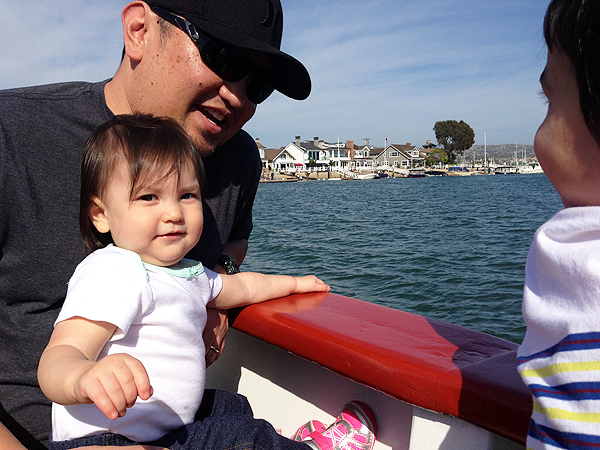 we had a terrific weekend with my dad--we went to the aquarium on Friday, strolled around Old Town Orange on Saturday, and hung out in Newport Beach and Balboa yesterday. i think everyone's ready for a bit of a rest today, especially the kiddos! i'm popping in here real quick with my Festive Friday card. this was kind of a fun one and amazingly, this card didn't take very long to make. the concept, for me, is always the most time-consuming part of any project. 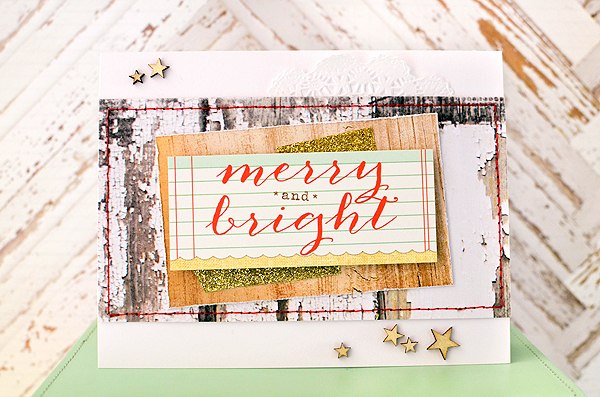 but i had this "merry and bright" tag from Elle's Studio within my grasp and had been wanting to use it for awhile. 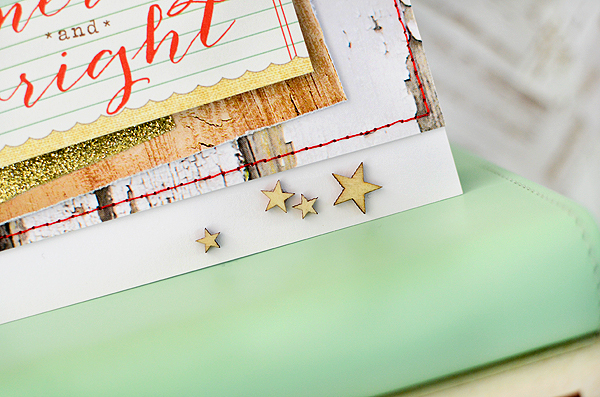 pairing it with some wood grain paper--various patterns of which i've been keen on lately--and a few wood stars, and i had the card that i wanted. 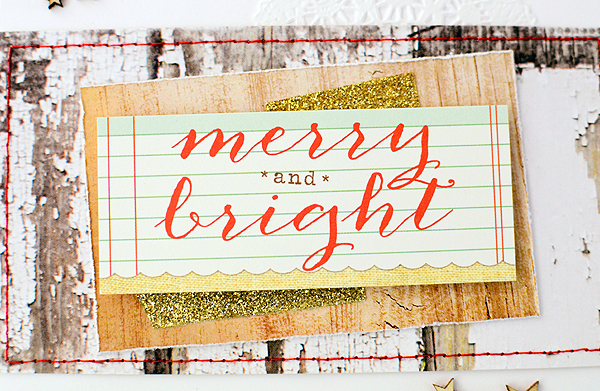 the red calligraphic lettering of the merry and bright tag is reminiscent of the red ribbon in this week's inspiration photo. (at least i think so) when i picture ribbon, i imagine it whispy and flowing, which is almost what the letters are doing on the tag. sometimes thin, sometimes thick...just like a twisted length of ribbon. i added the stars to give it a couple extra details and because of the star in the photograph. and because i simply love them, especially at Christmastime. don't forget to play along with the challenge! Yay for fun times! Love your card, it's beautiful. Your card is really divine! 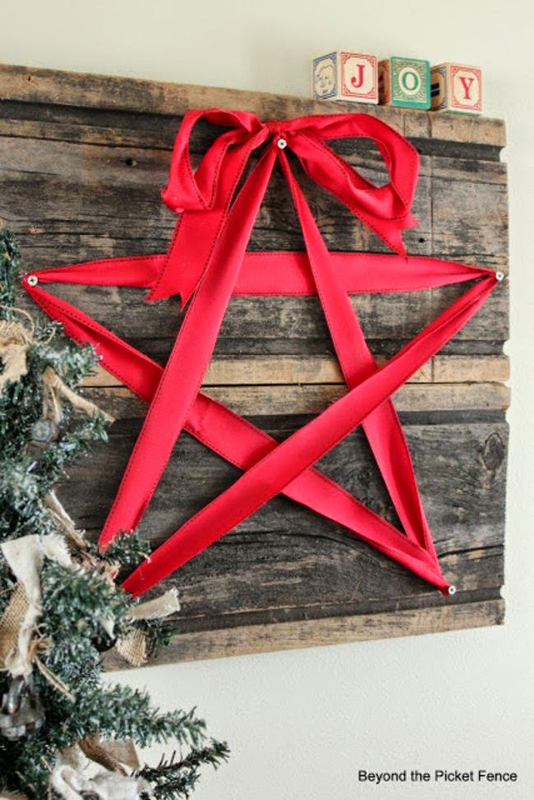 The wood paper you used is so perfect as is the beautiful red sentiment! Fabulous work!